Trevor Wright, MHA, was selected as one of the 100 great leaders in healthcare for 2018 by Becker’s Hospital Review. 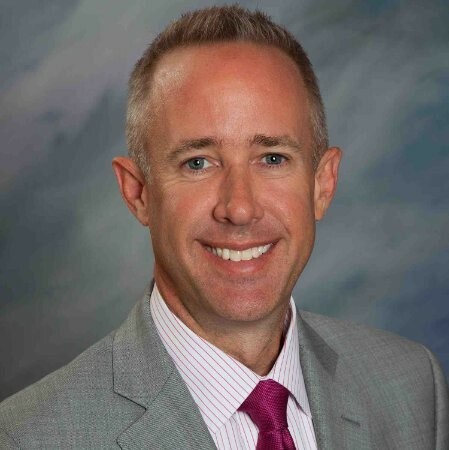 Loma Linda University Health chief operating officer (COO), Trevor Wright, MHA, has been recognized as one of the 100 great leaders in healthcare for 2018 by Becker’s Hospital Review, a leading publication highlighting business, legal news and analysis for the hospital industry. In its latest 2018 issue, Becker’s Hospital Review honored 100 individuals for their leadership in the healthcare field. The list includes individuals who serve at the helm of large health systems and nationwide organizations, taking the lead in transforming healthcare in the U.S. The list includes physicians, hospital and health system executives and healthcare company innovators. Becker’s Healthcare profiled individuals who work to improve the quality of care and solve the toughest problems in healthcare. Loma Linda University Medical Center (LLUMC) chief executive officer, Kerry Heinrich, JD, said he is thrilled that Wright is being honored for the reputation of high-quality work that he has built. The Becker's Hospital Review editorial team accepted nominations and conducted an internal review process to select members of this year’s list. The list seeks to highlight the important roles of healthcare workers who impact their communities by working tirelessly to advance healthcare. Wright said he is deeply honored to have been nominated and selected for this list of healthcare leaders. Prior to becoming COO, Wright served Loma Linda University Health as senior vice president and administrator of LLUMC. As COO, he has responsibility for operational oversight of LLUMC’s six hospitals. He began this position Dec. 14, 2015. Wright has over 25 years of hospital operations experience and was also a consultant with The Studer Group. His previous healthcare administrative positions include service at Adventist Health System, Providence Health and Services, and Adventist Health. An active member of the American College of Healthcare Executives, Wright brings significant expertise in fiscal leadership, strategic planning, business development and healthcare operations to his role as COO.